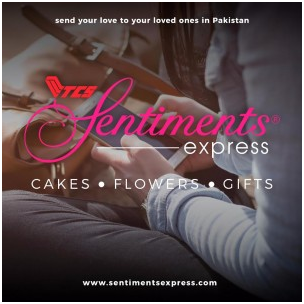 Sentiments Express by TCS lets you purchase gifts for your family and loved ones in Pakistan from the comfort of your home. Select from the online catalogue, pay online, and we take care of delivery! It’s that easy. Give it a try. GlobeLink Worldwide offers a diverse range of shipping services to meet all of your freight transportation requirements. From Ground and Air to Ocean and Courier services to Boutique Shipping we have the right solution for you! Worried about your excess travel baggage? Need to get a shipment overseas quickly? Let GlobeLink Worldwide offer you a cost effective solution for all of your air freight requirements. We ensure your shipment is secure from source to final destination. By performing regular air shipment tracking, we enhance the quality of our Cargo Transportation Services, offering efficient, regular, reliable and customer-oriented airfreight services to all major destinations worldwide. Ocean Freight Forwarding is one of our specialty services. We offer our clients the most suitable and cost effective container based freight services, and ensure safe, efficient transportation and delivery of your commercial goods. We provide regular, reliable and customer oriented LCL and FCL Cargo Transportation Services to all major worldwide destinations. GlobeLink Worldwide is pleased to offer systematic tracking services for all of our Ocean Freight services. Our freight brokerage division offers experienced expedited LTL and FTL trucking services between Canada and the USA through our network of renowned North American trucking companies. As such we can offer our customers a higher range of ground freight solutions at more competitive prices. Contact us with your shipping details and we will get back to you with an instant quote.